Learn to Make Awesome YouTube Banners – 5 Practical Tips! Here are 5 things to remember when creating YouTube Channel Art. By following these simple tips, and the advice in the infographic below from filmora.io, you’ll be able to make a banner that attracts subscribers and tells people that you’re serious about YouTube. When you’re designing your channel art, remember that parts of it are going to be cut off depending on the screen it’s viewed on. You need to make sure that the smallest ‘safe zone’ – the portion of your channel art that will be visible on smartphone screens – looks like a complete banner all on its own. Also, try not to let the largest view of your banner – the one people will see on smart TVs – look barren because you’ve focused on the smaller views. Instead of simply making sure your text looks good in your editing program, think about how it will look shrunk down for viewers watching on their phones. Something that looks reasonably sized when you’re making your channel art will usually end up being too small. To be safe, make all of your text a bit bigger than it looks like it needs to be so it’s easy for viewers to absorb the information at a glance. People like to see your face in your banner. It’s the difference between visiting a YouTube channel and visiting someone’s YouTube channel. If you don’t appear in your videos then this won’t be important, but if you’re trying to build a personal connection then this is one way to help that connection along. It’ll also help you get more subscribers; people are naturally attracted to eye contact. Viewers who decide to check out your channel after watching a video of yours usually have one major question in their minds – ‘do they have more videos like that one?’. Your banner should immediately let them know that, yes; you have lots more where that came from! Writing what kinds of videos you do as a brief line of text can be useful, but what’s more useful is designing your banner to be genre-appropriate. Consider whether the tone (serious, funny, uplifting, etc.) 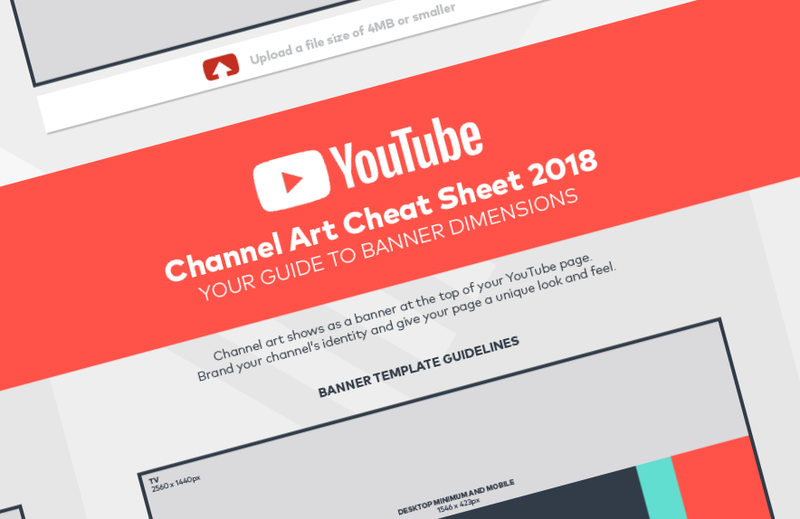 is communicated by your banner and, if you’re not sure, look at popular channels similar to yours and draw inspiration from what they’ve done with their channel art. A key piece of information – potentially the difference between a one-time viewer and a subscriber – is how often you post. By letting viewers know in your channel art that you post regularly and they can expect a new video soon you can help convince them to subscribe. An example of what you’d write in your banner could be ‘New videos every week!’ or ‘Makeup Tutorial Tuesdays, Fashion Fridays’.